COLUMBUS (AP) — Locked in a tight race for governor in the perennial swing state of Ohio, Republican Mike DeWine and Democrat Richard Cordray are using the final stretch to hedge their bets on Donald Trump. All the positioning shows how walking the line on Trump is viewed as critical to victory in the perennial swing state. Ohio went for Trump in the 2016 general election, Kasich in the Republican presidential primary and Democrat Barack Obama in 2008 and 2012. Former Democratic Vice President Joe Biden campaigned for Cordray Monday, rallying voters with a message of unity at Ohio State University and in blue-collar Youngstown, where Trump did unusually well for a Republican. 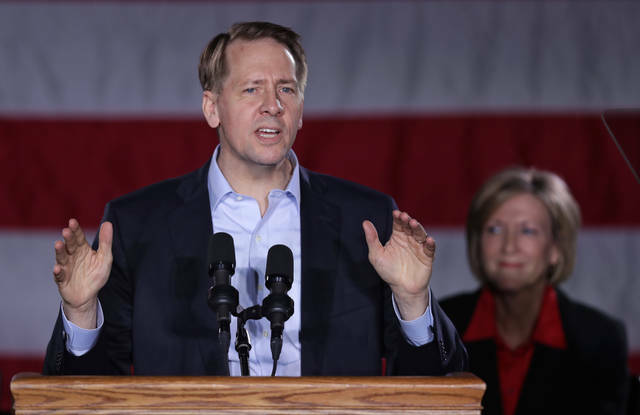 Cordray, a former state attorney general and treasurer, took heat in the primary against liberal former U.S. Rep. Dennis Kucinich for winning the NRA’s backing in past elections. 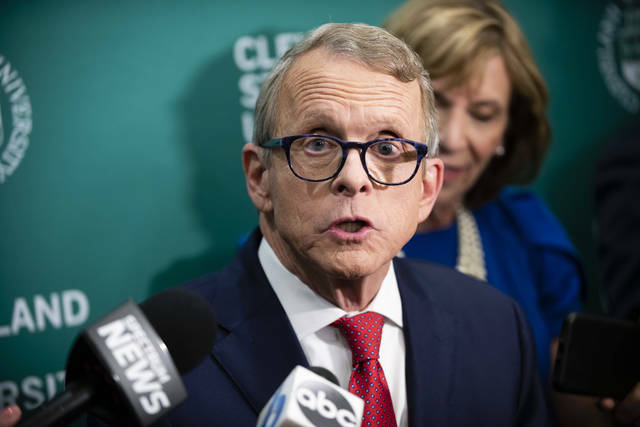 DeWine was blasted by his primary opponent, Lt. Gov. Mary Taylor, as “a liberal career politician,” citing, among other things, his support as a U.S. senator for amnesty and benefits for immigrants.